Mission—Our company was founded to help improve public safety effectiveness and productivity through research and consulting. TriData has built its reputation on its objectivity, innovation, integrity, and technical excellence. Though we base much of our work on hard data, hence our name, we also make a large effort to solicit information from internal and external stakeholders, to improve consensus about needs and solutions. Clients—About half of TriData’s work has been consulting for local governments on fire and EMS services. Much of the remainder has been fire and EMS-related research, mostly on behalf of the Federal government, including international research on best practices from around the world. We also have undertaken much research and data analysis on public safety issues for the private sector. Uniqueness—Because we perform a wide range of fire and EMS research as well as consulting, we are unique in obtaining synergism between our local government studies, which bring ground truth to the research, and the research, which brings state-of-the-art information to our clients. TriData was founded in 1981 as a subsidiary of the System Planning Corporation, at 1500 Wilson Boulevard in Arlington, Virginia. We still are located on Wilson Boulevard, a mile away from our start. In 2016, System Planning was purchased by a much larger company that focused on federal service contracts. TriData was allowed to split off as an independent LLC in a friendly separation. TriData’s founder, Philip Schaenman, continues to head TriData. Philip Schaenman is a nationally recognized expert in public safety research, especially community risk reduction (CRR), prevention, performance measurement and resource deployment. He is a Fellow of the Institution of Fire Engineers. He holds four degrees in science and engineering, from Queens College, Columbia University, and Stanford University, where he was a Howard Hughes Fellow. While in school he worked summers for RAND Corporation, Bell Labs, and Hughes Research Labs. He started his full-time work as an engineer at Bellcomm, Inc, working on systems engineering of manned spaceflight for NASA. After we landed on the moon, he was shifted to spearhead work on Bell System corporate management science, then applied that experience to research on municipal management at the Urban Institute. He specialized in measuring the performance of police and fire departments. He was asked to join the new US Fire Administration, where he served five years as Associate Administrator, heading the National Fire Data Center and the Fire Technology program. He was a charter member of the Senior Executive Service. He left government to form TriData. His main avocation is competitive ballroom dancing. TriData has over 40 senior consultants nationwide, many of whom have worked with us for over a decade. They have a wide range of expertise in public safety. Many are nationally recognized experts in various aspects of public safety. We select from our pool of consultants, those most appropriate for a particular study, under one of our senior study managers. Steve Brezler, a former chief fire officer, has managed over 70 fire department studies for large and small jurisdictions. Dr. Harold Cohen, a national expert on EMS management, and contract instructor at the National Fire Academy, has led many studies of EMS service delivery. Hollis Stambaugh, a former emergency manager, has led a wide range of studies ranging from arson unit management, after action reports, family assistance, emergency management, and many others. 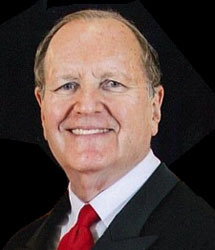 Robert Nichelini, former police chief, has led the law enforcement portions of studies. Steve Souder, who has managed 9-1-1 systems for two large metropolitan counties, has led the emergency communications portion of studies. Dr. Ed Sondik, former Director of the National Center for Health Statistics; principal research and statistics consultant. We also are proud that many TriData alumni who started as young analysts have gone on to distinguished leadership positions in public safety and academia.